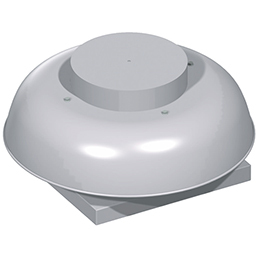 Designed to be easily mounted in any orientation in either ducted or non-ducted systems. 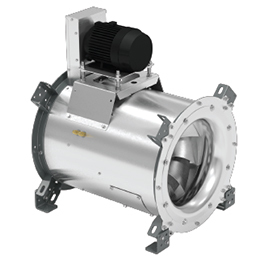 All units include integral inlet and outlet flanges for direct in-line mounting. The units are produced in an ISO 9001 certified facility and are listed by Underwriters Laboratories (UL 705) and UL Listed for Canada (cUL 705). 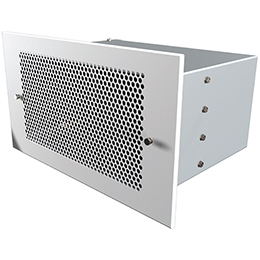 Designed using Computational Fluid Dynamics (CFD) and Finite Element Analysis (FEA) to provide optimum air flow, efficiency, quality and durability. Constructed of heavy gauge steel components in a fully welded assembly. 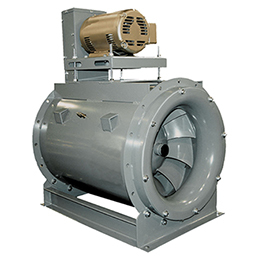 Designed for large volumes of air at medium pressure levels. Statically and dynamically balanced for vibration free operation. Designed for heavy commercial or industrial applications where large volumes of air are required at low static pressures. Constructed of heavy gauge aluminum with 6 cast blades and a cast hub. Blade pitch is determined at the factory and the blades are locked into place with roll pins. 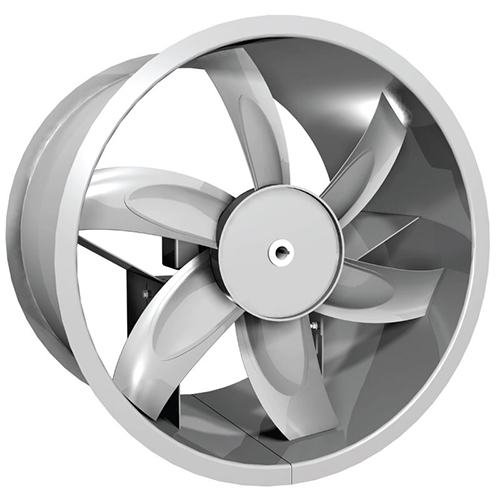 E Series airfoil blade has a non-overloading characteristic such as is found in a centrifugal type wheel. 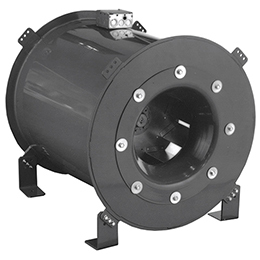 Designed for use where higher static pressures are required. 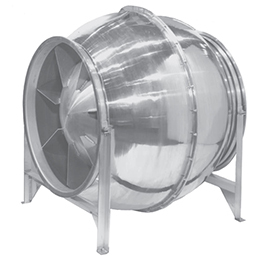 Constructed with 4 or 6 extruded aluminum airfoil blades and mounted in a cast aluminum hub.